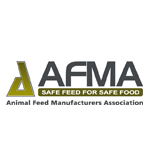 Allied Nutrition attended the AFMA symposium on 30 October 2018. The theme for the symposium was “Local is Lekker” with the intention of showcasing the expertise of our fellow South African nutritionists. We had the privilege of being challenged by Rick Kleyn, Andrew Catlett and Dr Elsje Pieterse regarding our approach to farming and formulating by putting into perspective what changes and pressure we can expect in the future, that risk is unavoidable but manageable, and that insects as an alternative protein source has enormous potential, both for animals and humans. Frans Hagg had the honour to chair the third session “Let us ruminate on it”. Dr Hinner Koster, Dr Peter Henning and Dr Robin Meeske shared nutritional principles regarding how to improve the efficiency of our game, transition cows and dairy cows on pasture. We learnt a lot from the many presenters, and we look forward to the next AFMA symposium in 2019.